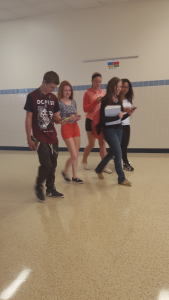 Students at Penn Manor High School are now allowed to use cell phones in the hallways between classes. Students attending Penn Manor High School are now allowed to use their cell phones and other devices during the day. The Penn Manor school board revised the cell phone policy to adjust to the the rise of technology. Students are now allowed to use cell phones during lunch and in the hallways. The student body is allowed to have one earbud in for music in the hallways. In case an emergency happens the student will still be able to hear and be in a more safe situation versus having both earbuds in. The former policy was that students were only allowed to use their cell phones when permitted by teachers for school-related purposes. Dr. Gale explained that the revision was needed. When asked their opinions, students reacted positively to the new cell phone policy. “I think it was a good choice because people can wake up more by listening to music,” said sophomore Rayssa Velez. “I believe the environment has changed in the hallway. People who listen to music are more tolerable of others,” said senior Angela Wood. Out of the students’ questioned most agreed that they gained respect for the principals and Penn Manor faculty for reevaluating the cell phone policy. “I did gain respect for the principals and faculty, because it shows that they trust us more, and that they have the expectation for us be responsible,” said senior Olivia Hertzler. “I gained respect because it showed that they cared what the students had to say, worked together, and constructed a new policy,” said senior Daniel Bleacher. Teachers also commonly agreed that the revision of the cell phone policy was essential here at Penn Manor. “The new policy is fair and reasonable. I’m not anti-technology I’m just anti- distraction,” said English teacher Mrs. Saylor. Teachers have the choice to have a cell phone free zone sign in their classroom. 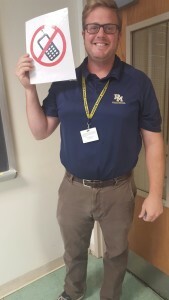 Mr. Staub poses with his no-cell-phone sign. English teacher Dr. McGough does not display a sign that doesn’t allow cell phones. Teachers were also asked if the students’ overall attitudes changed since the new policy was put into place. All of the teachers asked thought the students’ attitudes did not change. In order to make the revision many opinions were considered, and discussed. Despite the positive comments, some don’t believe the policy will stay the same for long. 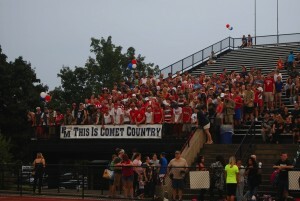 Comet Nation, Penn Manor’s student section, fills the stands before kickoff against Cedar Cliff on September 4. The smell of cheeseburgers and hot dogs filled the late summer air at Penn Manor High School as students filed into the parking deck for tailgating, food and activities.Comet Nation, (Penn Manor’s student section) was rated the #1 fan base by PennLive.com in the Lancaster-Lebanon League last year and plan to be nothing but better, crazier and louder. As the Comet Boys (seniors Jesse Kann, Nate Flexman, Andrew Figlio, Sam Lombardo, Ryan Gaukler, Will Forrey and Reed Blazer) took their places in the stands, the crowd grew louder. 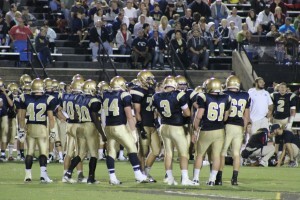 The Penn Manor Comets hosted their first home football game on Friday, September 4 against the Cedar Cliff Colts. Penn Manor’s new head coach gave a pep talk to Comet Nation telling them to be loud and stay in the game. This is John Brubaker’s first year as Penn Manor’s head coach; Brubaker was previously the defensive coordinator at Manheim Central. Penn Manor brought in a whole new coaching staff this year except for assistant varsity coach, Jared Shearer. Lancaster Red Rose Colorguard brought the American flag on the field because of the USA-themed night. After the opening coin flip in the center of Chryst Field, Cedar Cliff kicked off to Penn Manor. With seniors Blaine Richardson and Jamal McCaskell back to return the kick, Richardson snagged the ball, then wrapped up after 10 yards of running in the middle of the field. Penn Manor had a tough first drive trying to figure out Cedar Cliff’s defense. Cedar Cliff on the other hand was ready for what Penn Manor had to offer, delivering a 10-play, 62-yard scoring drive to score early in the game. Richardson and McCaskell set back to return the kick again. This time though, Richardson weaved through CC’s special team unit with ease, turning on the burners taking the return to CC’s 47 yard line. Richardson left the game later in the second half due to a knee injury. Marcos Nina took his spot as a kick returner. The drive was then ended with a halt when junior, Grant Gale tossed an interception (one of three). The Colts then turned that drive into a touchdown, but missed the field goal, making the score 13-0 with 10:55 left in the second quarter. 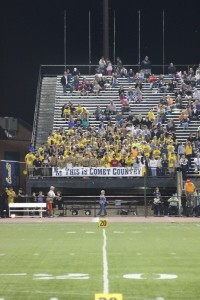 During the entire game, Comet Nation stayed roaring. “The student section is getting very loud, the freshman need to get rowdy and into the game,” said Comet Boy, Jesse Kann. Jamal McCaskell kept trying to break through the defense. Eventually he did, leaving a Colts defender and others in the turf after breaking their ankles and gaining big yardage on his first major carry late in the first half. The drive was ended again by the Colt’s secondary, and their offense converted a turnover into another touchdown to make it 26-0 at halftime. Eventually, PM got on the scoreboard with an 8-play, 80-yard scoring drive that was topped off by running back Carter Kinser (six carries, 43 rushing yards, three TDs) going untouched into the endzone. PM missed the extra point following the touchdown. Seeking redemption after another CC touchdown, Gale, Kinser and McCaskell took the field. Gale threw a textbook screen pass to Kinser where Kinser did the rest of the work, shredding between defenders making it a 46 yard completion. Cedar Cliff’s offense continued to be powerful late into the game, but the Comet’s defense slowed down the bleeding, making big time stops. As Penn Manor’s offense began to heat up, the Colt’s defense began the die down. Kinser and Gale began to click, as Kinser picked up his third touchdown of the day in the early fourth quarter, punching through the Colt’s defensive line. The Comets fell to the Colts 54-20 as a final result. Jamal McCaskell had a big game as well, racking up 104 rushing yards on 16 carries. Cedar Cliff finished the game with 518 total offensive yards on 54 plays. The Comets, on the other hand, finish with 313 total offensive yards on 47 plays. The Colts key players were junior quarterback Grant Breneman (12-of-15, 254 passing yards, two TDs) and senior receiver Miki Viti, (six receptions, 142 yards, one TD). Penn Manor will take on Lampeter Strasburg next Friday night for their first away game this fall. Penn Manor High School’s library has a lot of new additions this year, from new laptops to new books and even a new library website. The main addition to the library is the student tech help center. In January, all students will be getting their own personal laptop. The library will have a tech area where students can go if they need any help or have any questions. Librarian Mr. Jeff Taylor said the library will continue to offer printing and the library computers will remain. Mr. Taylor also said that there are many new books this year. Some of the books he had listed were the Mortal Instruments, the third book in the Divergent series, the second Ravens Boy book, and many more. He had said that most of the books that they were gathering for this year were because of all the movies based off books coming out. Another book Mr. Taylor is excited for is a new book called House of Hades coming out soon from the author of the Percy Jackson series, Rick Riordan. “I already pre-ordered it!”, said Mr. Taylor. The high school’s library has a very cool way for students to be able to take out 80 books at once. They have seven Kindles available to students. All the Kindles have the same 80 books on them. In order to check out a Kindle you have to first get a permission slip and have your parents sign it. The library also now has its own website. Mr.Taylor said it is up and running but there are still a few blank pages that they have to fill in. It is a work in progress but he said for the most part everything is almost up. Construction began over the summer for a new line of stores in Millersville. 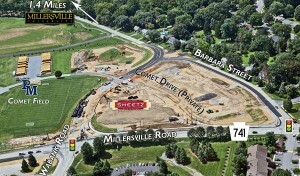 Millersville Commons and Sheetz are coming to the corner of Route 741 and Barbara Street. “Since the mid-1980s, Millersville Borough has been looking to have a convience store of some sort on that corner, and through the years till now its changed from a Wawa to a TurkeyHill and now to a Sheetz,” said Dr. Mike Leichliter, Penn Manor School District superintendent. “LMS Real Estate is in charge of leasing the store spaces to companies, so far Sheetz is the main store, and Jake’s Wayback Burgers,” said Dr. Leichliter. According to Dr. Leichliter, the district received about $1.6 million for 5.85 acre lot. As sports have been going on at Comet Field since the summer, the only problem has been Barbara Street being closed, but since the summer it has reopened and traffic is moving smoothly. Since sports are in season at Comet Field, that means the snack bar is open too. York Excavating started the early work in the summer and has continued to work on the project. “The infrastructure of the buildings should be nearly completed by December,” said Dr. Leichliter. The project is expected to be finished by the end of the year. LMS Real Estate company has been looking for tenants for the other shops and the bank branch. Wabank Road will be extended through the light and will connect with Barbara Street, creating a four-way intersection at Rt. 741 and Wabank Road. A safety aspect was made by adding the many walkways to make the area pedestrian friendly. According to Dr. Leichliter, the money the district made from selling the land will be put into the district’s capital maintenance fund and used to maintain athletic facilities. 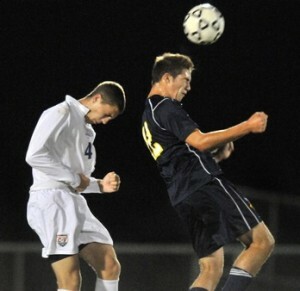 Senior Ben Jennings goes for a header in a match against Conestoga Valley. For the 10 seniors on the Penn Manor boys soccer team, this season is their last opportunity at making a run for the league title. Head coach of the team, Steven McCabe, says he hopes this season could be a bounce back from previous years. With a tough schedule ahead of the team, Coach McCabe says that playing stronger opponents is the only way to improve. ‘’We want to reach both district and league playoffs,’’ said Coach McCabe. The team had three straight wins in the middle of September against, McCaskey, Warwick and Cocalico. Second year captain, senior Ian Byrnes, said that he would also like to make the Lancaster-Lebanon League playoffs. He stated that he wants the team to work hard, and pull out a win in close games down the stretch. With a record of 4-8-1, the guys play McCaskey Thursday afternoon at McCaskey. Have you walked into the lunch room and noticed a difference? Yes, small drinks such as, lemonade, tea and even small waters are gone. Students might have also noticed that desserts are officially missing from the main lunch and many other changes have been made. “Lunch changes are due to the sugar content,” Mrs. Sherlyn Wolf, cafeteria manager, said. According to Mrs. Wolf, Penn Manor is only able to serve students and staff a certain amount of starches and sugars, and serving sizes are important. Government regulations determine how many fruits and vegetables and which kinds of fruits and vegetables to serve since Penn Manor is included in the National School Lunch Program. The National School Lunch Program is a federal program that provides low cost or free lunches to students who need help paying for meals. There’s just one question. Whatever happened to the small waters that came with lunch last year? They don’t have sugar or starches, so why are they gone? Mr. Randy Wolfgang, director of support services, explained that federal regulation will not allow any substance to substitute for milk, not even water. 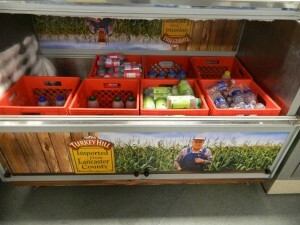 “Students are not required to get a milk, though they are required to get a fruit or vegetable,” said Mr. Wolfgang. A new addition to the new lunch changes that Wolfgang brought to attention was that last year there was only 50 percent whole grain in lunches, but this year it’s 100 percent whole grain. If you have not noticed, even chicken nuggets and meats are now whole grain. Next year school will be required to have sodium reduced. The cafeteria will be required to serve more fruits and vegetables, and meat will be optional since most of the lunch’s calories come from the meat that is served. These changes will also affect breakfast according to Wolfgang. Lunch changes are also market driven or due to student preferences. For example, last year clam chowder soup was not a huge hit, so this year you may notice that clam chowder with not be around as often. Lunch changes are also to make lunches that are sold more healthy. You can choose to get your sweets, but they will no longer come with main lunches. The Samaritan Counseling Center is located in Lancaster, Pa. and will be the main provider of the mental health screenings given at Penn Manor High School. The Samaritan Wellness program is a mental health screening test administered by the Samaritan Counseling Center of Lancaster, Pa. that will affect the ninth grade class of Penn Manor High School. The program, said Mrs. Melissa Ostrowski, a guidance counselor at Penn Manor, is to work with the students of Penn Manor to help them in any way that they can, even if it means using outside help. The program is only being offered to two schools, and Penn Manor is one of them. The program, will be held in October, along with the vision, height and weight exams for the ninth grade class. The written test will consist of a few questions that are meant to see if a person is at risk of depression or has thoughts of suicide. The information from the screening will not be accessible to the school; only Samaritan will have access to it. After this, Samaritan will use the information to find the student help, assuming that both parent(s)/guardian(s) and student consent to the help offered. The student’s parent(s)/guardian(s) and the doctor can then share the information with the school’s counselling department. Mrs. Marsh and Mrs. Ostrowski agreed that the students and teachers of Penn Manor are constantly working together to prevent suicide and depression. If a student sees a change in a friend’s behavior, the student should not be afraid to tell a trusted adult. Dr. Philip Gale, principal, explained that the Samaritan program was actually brought to Penn Manor by the former superintendent. The fact that the program was suggested by a familiar source influenced the decision, according to Dr. Gale. Ms. Maria Vita, psychology teacher, said that the school will have its own club on suicide and depression awareness called the Aevidum. The club will be run by the students in Penn Manor and is present in other schools as well. “The goal of the club is to promote mental wellness and raise awareness regarding depression and suicide,” Ms. Vita said. Dr. Gale, Mrs. Ostrowski and Mrs. Marsh mentioned that the screening might only last for one year, and they are unsure whether or not the Samaritan Center will be overwhelmed. The Samaritan Center has limited resources, and might not be able to accommodate a large number of students from the schools where the program runs. Ms. Vita noted that while the screening might be limited to one year, the Aevidum club will last more than a year. Many people gather on Friday nights to watch the Penn Manor boys play football. So when the first game against Solanco came, expectations were high from last year’s record 10-2. Starting the season out well Penn Manor beat Solanco 42-0. They also tallied up wins over Lampeter-Strasburg 28-14, Dallastown 13-10 and Hempfield 34-20. Senior Brett Caggiano and junior Tyler Spangler, both starting players, were injured in a scrimmage against Manheim Central in the beginning of the season. Charlie Bell and Logan Kinser, seniors and starting players, both agree that the season is going well, despite the injuries. “It has been a setback with two starting players not being able to be on the field, but I feel we have done a great job overcoming this obstacle,” says Bell. Kinser also agrees and says that it will be a setback during bigger games. “I feel very confident about the team this season and that we have a solid offense and a strong defense,” says Kinser. When asked on who the toughest team will be this year Kinser replied, “Wilson, no doubt.” Kinser says that he wants to end the season undefeated. The Comets play Lancaster Catholic tonight at Lancaster Catholic High School. 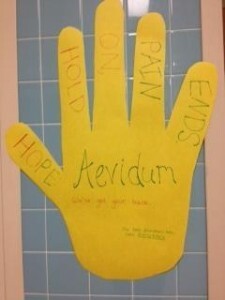 Students already involved in Aevidum hung signs throughout the halls of Penn Manor High School encouraging students to attend Aevidum if needed. There was a banana in school on Friday September, 13. No, not a real banana; those can be found in the cafeteria. This banana was all flesh and bone under its felt fabric. At an assembly, it was explained to students that depression doesn’t always stick out like someone in a banana suit does. The person in the banana was a high school student from Cocalico, where the movement called Aevidum, first started. Ms. Maria Vita, psychology teacher, and Mrs. Kimberly Marsh, a counselor at Penn Manor High School, were approached by the former superintendent of the school, Mr. Don Stewart, about potentially starting a branch of Aevidum at Penn Manor High School. Vita hopes that starting Aevidum here will “encourage students and faculty to practice behaviors that promote their well-being; no one in this school should feel alone in their struggle or sadness. We recognize that this life can bring trauma and difficulties, and we want a platform where it is acceptable to talk about these heavy ideas (depression, stress, body-image, etc,). “As a psychology teacher Aevidum appealed to me because there are a growing number of empirical or scientific studies that support positive psychology,” said Vita. Aevidum, which is a made up word, gets its meaning from its Latin root “vid”, meaning life. According to the Aevidum website, Aevidum in schools means, “a culture of care,” an “I’ve got your back” philosophy that transforms elementary, middle and high schools. Aevidum was started by English teacher and now Executive Director of Aevidum, Joe Volupas, at Cocalico High School after one of his students, Kyle, took his own life. Kyle’s younger sister, Emily, spoke about her brother’s suicide for the first time here at Penn Manor. Among the things Volupas called for were musicians, skaters, artists and athletes to help spread the word of Aevidum as far as possible, with songs written about friendship, skateboards with the Aevidum logo on the bottom, posters promoting Aevidum and videos showcasing what Aevidum is all about. Aevidum is an “empowerment movement that is creating a culture of care where every single person matters.” People need to believe in the voices of youth, said Volupas. Volupas went on to say that, “suicide is almost 100 percent preventable.” It’s everyone’s job to get their friends to a counselor, a teacher or to someone who can and will do something to help that friend out. This sign hangs outside Ms. Vita’s room in the history hallway. Olivia Bailey, a senior at Penn Manor High School, said she joined Aevidum because, “I have a couple of friends who have gone through really hard times and I loved the whole idea of the club and how it tries to promote a positive atmosphere throughout the entire school. Because Aevidum hasn’t officially started at the high school yet, a few students have been working to get students to pledge Aevidum, which means pledging to help a student in need. Bailey said that so far, about a hundred students have signed up. Aevidum will most likely split up between the club days so that certain students come on different days. For more information, there is an official website for Aevidum, http://aevidum.org/. Vita has also started her own wikispaces page for Penn Manor’s branch of Aevidum, http://pmaevidum.wikispaces.com/. 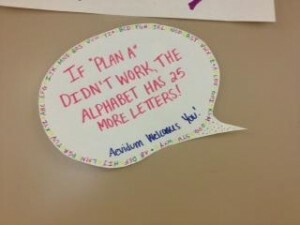 Aevidum will meet Tuesdays in room 316. More information concerning sign-up and meeting times and places will be available in the cafeteria during club sign ups. If you’ve recently driven by Manor Middle School, you’ve probably noticed the construction site of the new Hambright Elementary School. 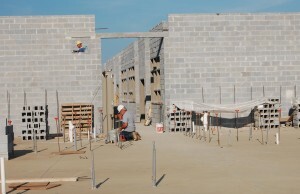 Currently, the school is scheduled to be finished on August 16, 2014 and will hold students for the 2014-2015 school year, according to Mr. Denny Coleman, the district’s manager of buildings and grounds. “We’re certain we’re a week ahead of schedule, but we don’t know what winter will bring,” said Coleman. With an average of 80 workers on the job daily right now, the gym and the fifth and sixth grade wing are both under construction. 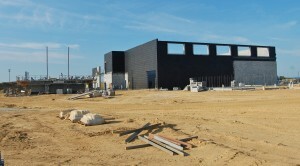 Once December and January roll around, the site is expected to hit its peak at an average of 130-150 employed workers. “We are sequencing the construction of the building from the back to the front,” said Coleman. According to superintendent Dr. Mike Leichliter there are several benefits for the elementary school being so close to the middle school. For those students involved in accelerated math, they have access to classes at the middle school. Also, shared parking will generate more options for times of overflow. The Hambright gym was one of the first parts of the building to be constructed. The new school will accommodate 440 students with four classrooms for each grade level and it will also offer greater capacity. “There is a possibility of an increase in enrollment,” said Dr. Leichliter. And as for the old Hambright building? A commercial real estate business is selling it for the district. Private schools to apartment contractors have looked at the school so far.